The citizens of Florence have an exceptional reason to celebrate today, as one of the city’s most treasured artworks has been restored and is back on display. 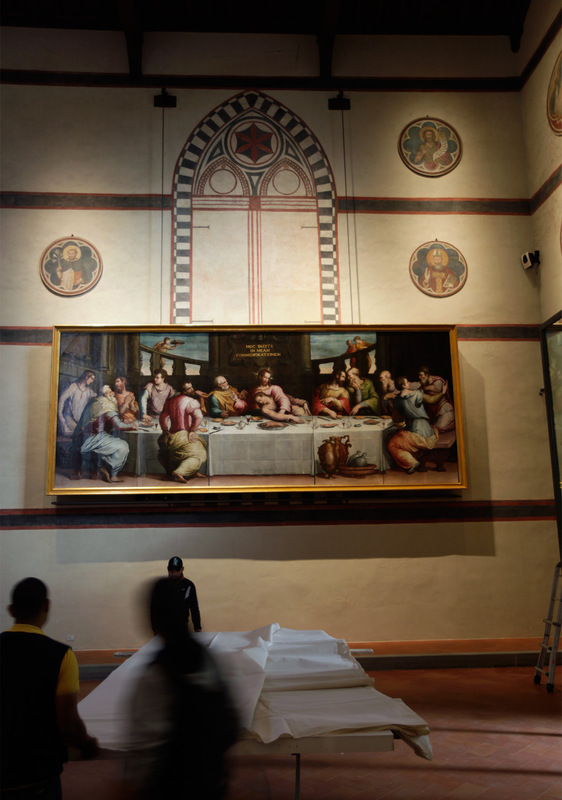 Hidden from view for the past 50 years to the day, The Last Supper (1546) by Giorgio Vasari has returned to the Museum of the Opera of Santa Croce in Florence after a decade-long conservation project. Painted on five large panels, each constructed of several planks, and measuring over 8 by 21 feet, the painting was damaged in the disastrous Florentine flood of 1966 and considered beyond repair. Or, at least, that was the opinion of experts up until ten years ago. With the support of a grant from the Getty Foundation’s Panel Paintings Initiative, a team of experts at one of the foremost conservation centers in the world, the Opificio delle Pietre Dure (OPD) in Florence, have brought Vasari’s artwork back to life. I am a firm believer in miracles, but not of the kind shrouded in mystery with billowing smoke and flickering lights. I believe in miracles that happen because of human ingenuity and resilience, such as the rescue and restoration of The Last Supper. Vasari started the work in 1546 and painted it over a six-month period for the Murate Convent, located only a few blocks from the Basilica of Santa Croce. The convent and church are located in one of the lowest parts of Florence, so the painting has been subjected to no less than seven major floods in its 470-year lifespan. The first happened shortly after the artwork was finished, when the Arno River spilled over its banks in 1547. After 1845, the Murate Convent was repurposed as a prison, so The Last Supper was moved to the Santa Croce, where it continued to remain vulnerable to the Arno. The most disastrous Florentine flood of modern times occurred on November 4, 1966. After heavy rainfall in Tuscany in October and early November, a flood wave burst into the city, covering more than 7,000 acres with water and sewage, and depositing 600,000 tons of mud and debris. The water reached heights of over 22 feet in the lowest parts of town, including the area of Santa Croce. Inside the basilica and adjacent museum, it swelled to well over 8 feet high, damaging many irreplaceable artworks. During the flood, The Last Supper was submerged in a slurry of water, mud, and heating oil for over twelve hours, which softened the paint and saturated the wooden support structure. When the sludge receded, some of the paint and gesso migrated with it toward the bottom of the painting. A heroic effort to save the artwork by a team of conservators and volunteers ensued. 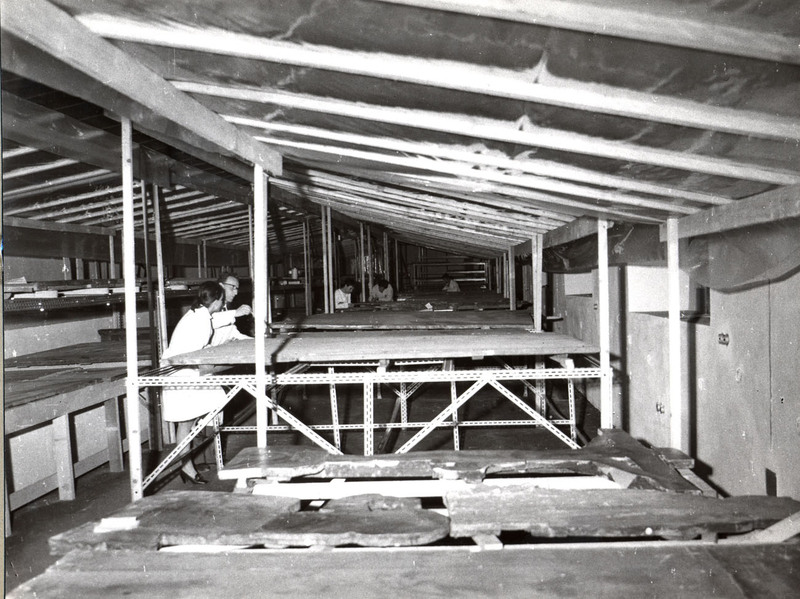 The rescuers tried to protect the painted surface by covering it with conservation-grade paper and, when that ran out, any type of tissue paper they could get their hands on. The sheets of paper prevented the paint from peeling off and sliding down. But this was just a first emergency response. 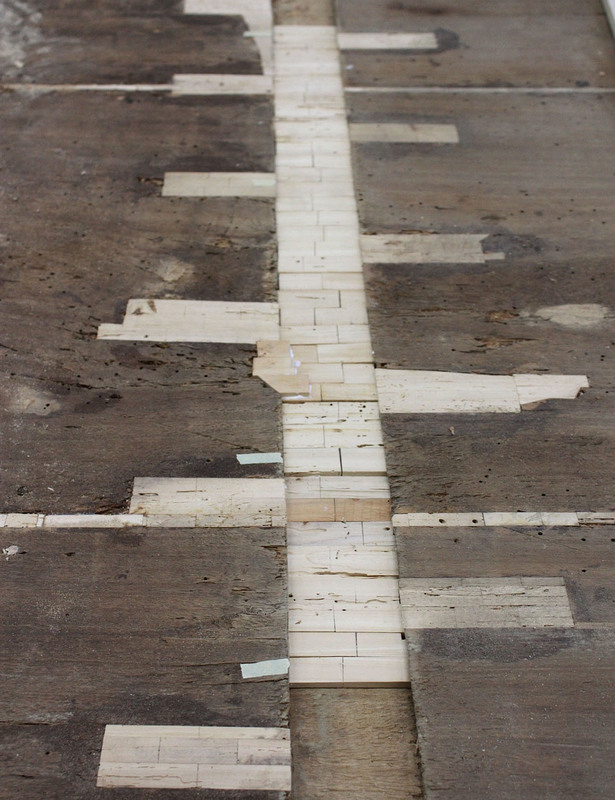 The panels were drenched and needed to slowly dry out in a controlled environment to avoid warping and splitting. Conservators also had to carefully monitor humidity levels to avoid mold growth, which would have been disastrous. Faced with this monumental challenge, the painting’s five panels were put in storage, where they lay dormant for decades. 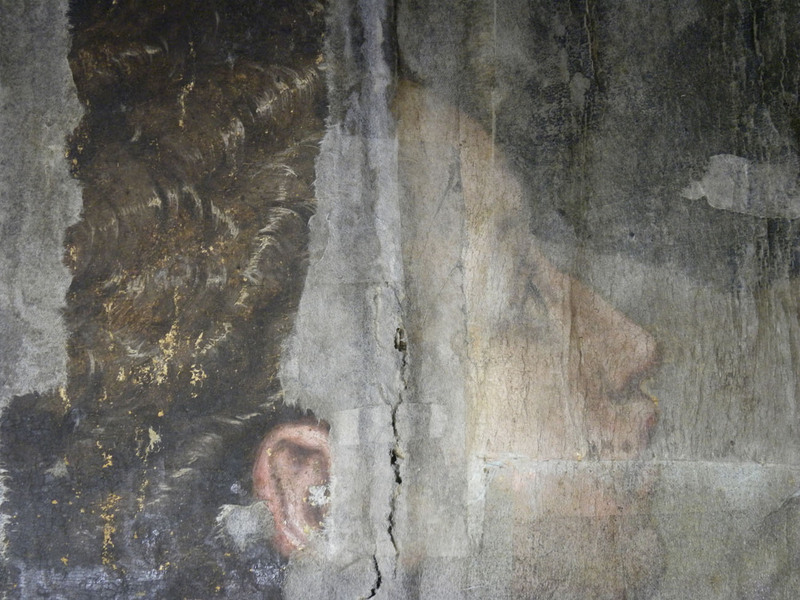 Vasari’s artwork was almost given up as a casualty of the flood. Given this history, it is a miracle that The Last Supper still exists. Equally astounding is the level to which it has now been restored. Not only is the painting back on display, but for the first time scholars can see color images of it; before 1966, the artwork had only been documented in black-and-white photographs. As the flood water receded, Florentines, experts from neighboring cities, and a large number of volunteers from all over the world—nicknamed “mud angels”—descended on the city to rescue and perform first-aid measures to artworks, books, and historic materials. 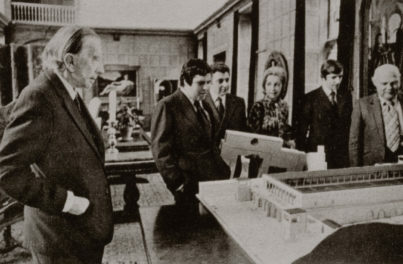 Among them was a young carpenter by the name of Ciro Castelli. 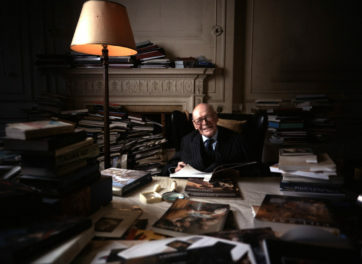 His skills were desperately needed to build gurneys and crates to protect works of art as they were moved to safety. Due to the massive support and attention the city received, I think that it is safe to say that the 1966 flood put the conservation profession solidly on the map, and Castelli found his calling. At the OPD, he became a specialist in the structural conservation of panel paintings, and he is now one of the most revered experts in the world. In 1986, when I was still at the beginning of my career in conservation, I visited the OPD, and I clearly remember my awe for the professionalism and skills of the conservators. Since then, I have returned many times, and my respect for the institution has only deepened. When the Getty Foundation, together with colleagues from the Getty Conservation Institute and the J. Paul Getty Museum, began developing the Panel Paintings Initiative in 2008, it was considered paramount to ally with the OPD. As a premier conservation laboratory and training institution, the OPD was the ideal partner, as it represents over 50 years of experience in the structural conservation of panel paintings. The Getty Foundation was fortunate to have the Soprintendente of the OPD, Dr. Marco Ciatti, serve on the initiative’s international advisory committee. The main focus of the Panel Paintings Initiative is to advance the knowledge of current experts and to bring a younger generation of experts into the field. 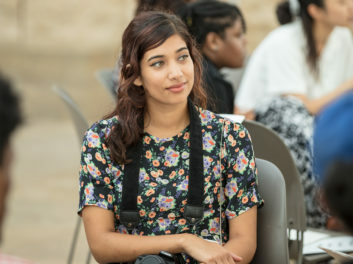 To achieve these goals, the Getty Foundation partners with leading art institutions in the western hemisphere and supports side-by-side training residencies. 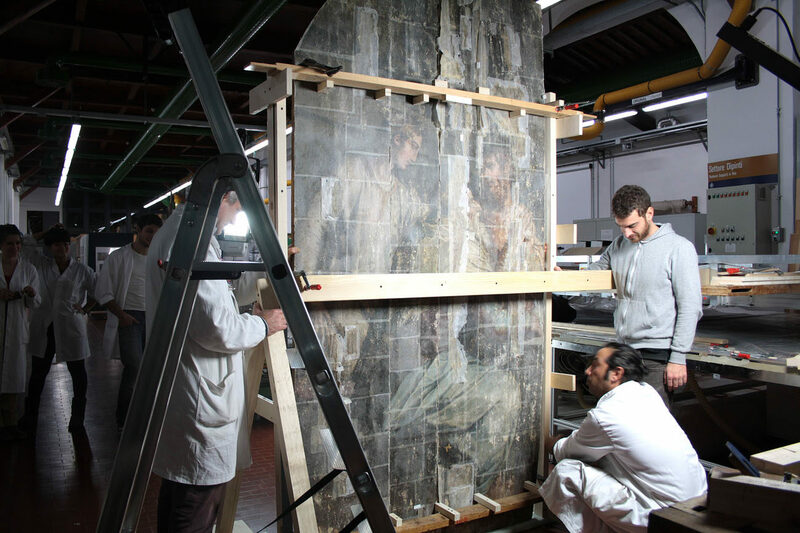 In 2010, the OPD received a three-year grant for the structural conservation of Vasari’s painting. 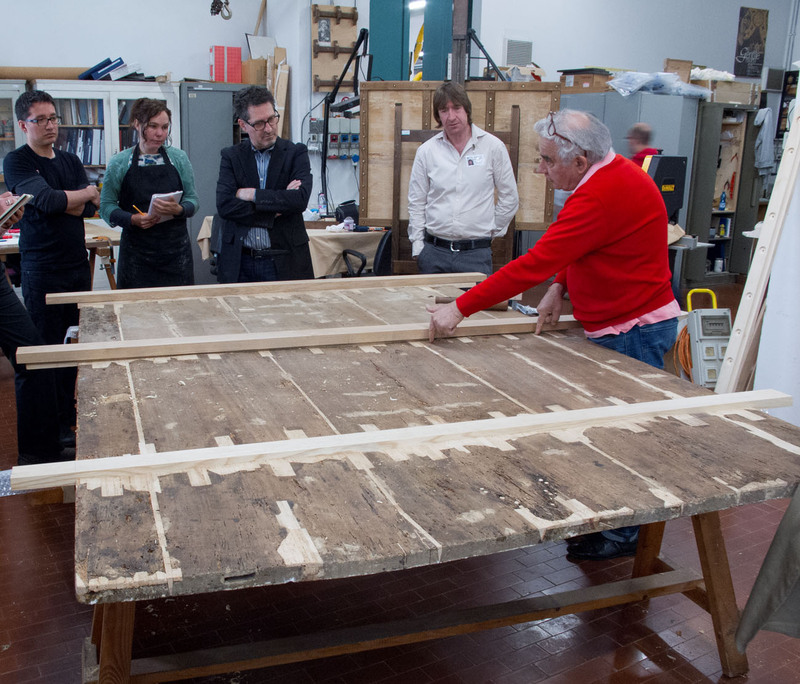 For the first time since the flood, conservators felt ready to face the challenge of The Last Supper’s conservation. The painting was still in bad shape. 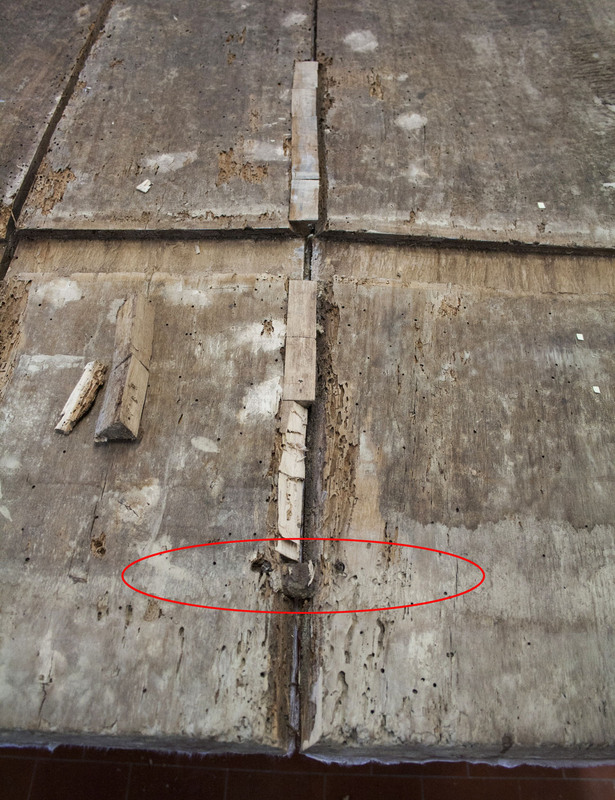 The intense water saturation caused the wood to soften and expand, in turn stressing the painted surface and causing dramatic cracks and breaks. Wooden supports on the back of the artwork that kept the multi-panel object structurally sound also failed, leaving the painting in pieces. The Last Supper was ideally suited to the initiative, given its large size and structural complexity, as well as the extent of the damage caused by the flood. Its conservation treatment offered training opportunities for both mid-career and advanced-level conservators. During the course of the project, three additional outside panel experts consulted with the OPD team, allowing the trainees to observe peer-to-peer decision making at the highest level. 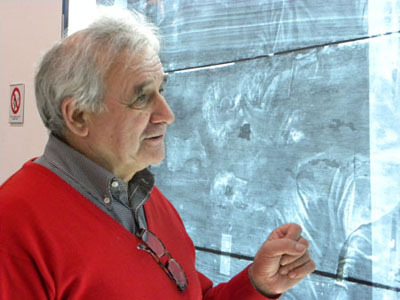 Castelli, a respected and beloved teacher, led the training residencies at the OPD. Without a doubt, he has advanced the knowledge of a new generation of structural panel paintings conservators. He was ably assisted by Mauro Parri and Andrea Santacesaria, who benefitted from the initiative’s international collaboration with conservation experts in Brussels, Madrid, London, and New York. Seven conservators from England, Hungary, Italy, and the United States—including the J. Paul Getty Museum’s Sue Ann Chui—completed training at all phases of the painting’s complex structural treatment. Take a moment to imagine what it is like to handle a painting of such an enormous size—8 by 21 feet total; composed of five panels with a total of 12 thick poplar planks. How many people does it take to maneuver these large components around? During structural conservation, how can you assure that an intervention at the back gives the desired effect at the front? Asking these questions may help you begin to grasp the complexity of this conservation project. The treatment steps became more complicated from a technical point of view as we encountered a significant gap between the panels and the impossibility of bringing them closer due to the paint layer bridging them. After some brainstorming, we decided to apply wedge-shaped inserts along the previously prepared channels with the point facing down, as wide as the gap, to recreate the foundation on which to later set down and re-adhere the paint layers. 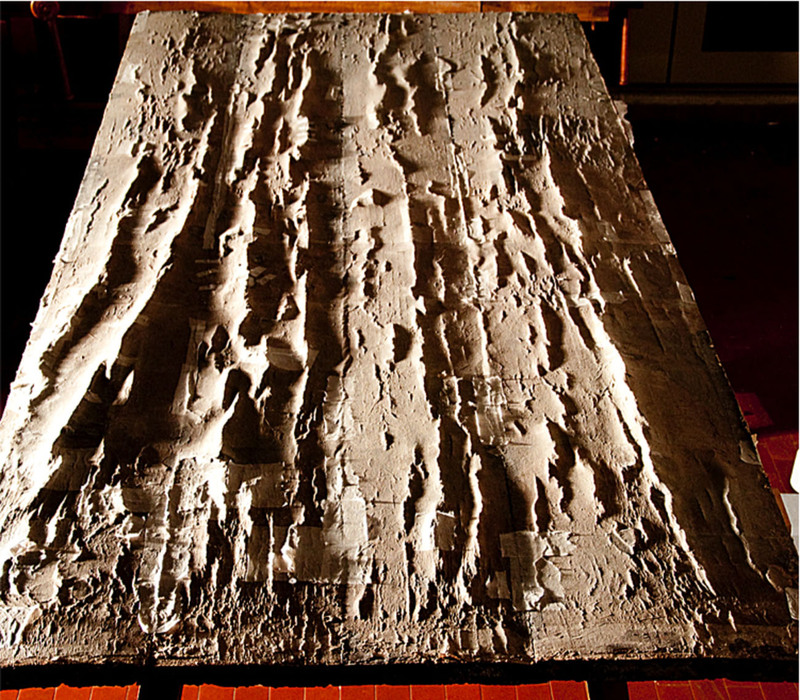 In 2013, the stabilization of the wood substrate was complete, and The Last Supper‘s five panels were reconnected for the first time in 47 years. It was a momentous occasion. 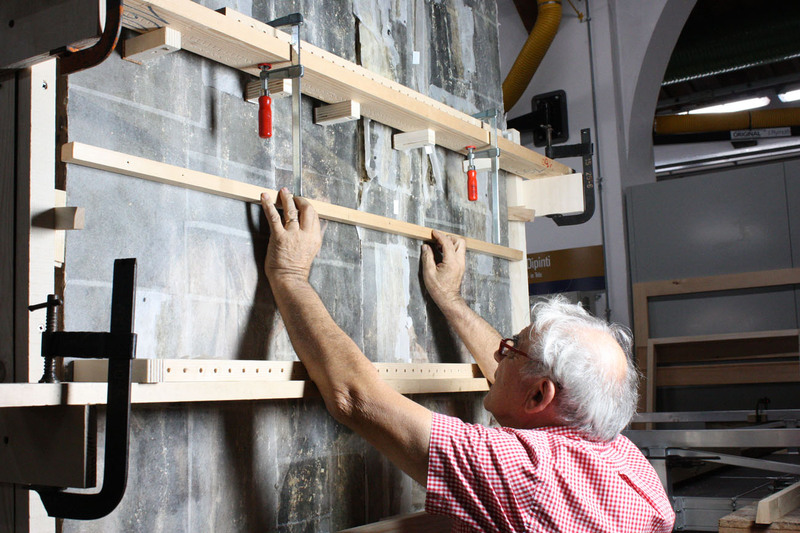 The team’s solution was based on the support system originally devised by Vasari himself, which has stabilized the painting while also allowing the wooden panels to move naturally with standard temperature and humidity fluctuations. Work on the final conservation of the painted surface was completed with the generous support of the Prada Foundation. A conservation team led by OPD conservator Roberto Bellucci was able to recover an unanticipated amount of the original painted surface, revealing the artist’s hand in surprising detail. The most talented conservators in the field skillfully saved a significant painting that was deemed beyond repair. Allora, many congratulations to the OPD on this remarkable achievement; now it’s time to celebrate! With the Arno still flowing nearby, there is always the looming threat of another major flood, despite the water management dams that have been constructed upstream. As an extra safety precaution, a high-tech yet simple device was installed. If The Last Supper is in danger of another flood, a simple press of a button engages two winches, and the entire painting is miraculously hoisted toward the ceiling out of harm’s way! Learn more: The Getty Foundation’s Panel Paintings Initiative project for the conservation of Giorgio Vasari’s The Last Supper (1526) was featured in the PBS NewsHour’s Culture at Risk series in October 2015. The episode focused on the work of the OPD, which the NewsHour host Jeff Brown described as “part museum, part workshop, part hospital for threatened treasures.” Watch the episode online. Wonderful work, mud angels! wonderful beautiful picture and the size is amazing! Wow! a job well done indeed! I soo want to see it up close.